History of Silent Witness Initiative: In 1990, an ad hoc group of women artists and writers, upset about the growing number of women in Minnesota being murdered by their partners or acquaintances, joined together with several other women’s organizations to form Arts Action Against Domestic Violence. 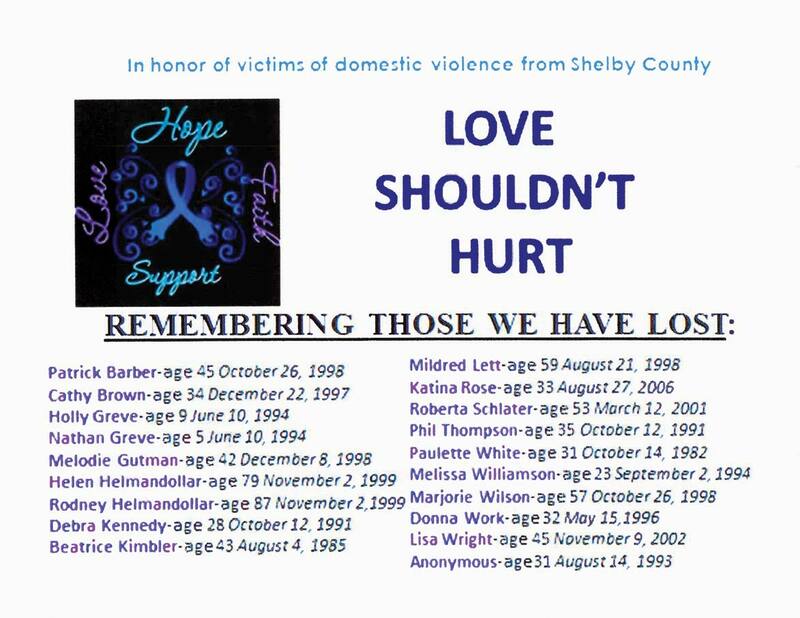 They felt an urgency to do something that would speak out against the escalating domestic violence in their state, something that would commemorate the lives of the 26 women whose lives had been lost in 1990 as a result of domestic violence. After much brainstorming, they decided to create 26 free standing, life -sized red wooden figures, each one bearing the name of a woman who once lived, worked, had neighbors, friends, family, children-whose life ended violently at the hands of a husband, ex-husband, partner, or acquaintance. A twenty-seventh figure was added to represent those uncounted women whose murders went unsolved or were erroneously ruled accidental. The organizers called the figures the Silent Witnesses.